You have found the right team for the most important buying and selling decisions of your life! 2009, 2010, 2011, 2012, 2015, 2016, 2017, & 2018! Serving your real estate needs – Treating you better than good! To be leaders in the Oklahoma Real Estate Industry. Demonstrating superior service and extending the extraordinary commitment to those we serve. Providing excellent service for buyers, sellers, and investors. The Thurman Real Estate Team has a great team of Realtors serving Oklahoma City, Edmond, Moore, Piedmont, Yukon, Mustang, Blanchard, Tuttle, Newcastle, Choctaw, and surrounding areas. By choosing the Thurman Real Estate Team, you can trust that your Real Estate needs will be taken care of by a group of individuals working hard for you! We were so nervous about choosing a realtor because we were moving to OK from out of state. After doing some research online, we chose Paula. I could not be happier! She is so easy to deal with and she is so knowledgeable about the area. She was never pushy with us and NEVER tried to show us house out of our price range. She was very accommodating with our schedules, seeing as how we had 24 hours at a time to tour houses when we could travel to OK. She always returns calls and texts immediately and made us feel like we were her only clients, even though we didn’t have a huge budget. We had no idea who to use for mortgage lending, etc. and she steered us in the right direction. We told her that we really wanted to have our closing costs paid for us and she negotiated that, in a neighborhood where it doesn’t happen often! On closing day, she was so excited for us, and calmly handled a little mini-crisis we had. I would recommend her to anyone needing to buy or sell in the area and we will obviously use her again when we upgrade our home in a few years! 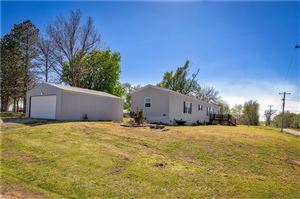 I would highly recommend Paula Thurman if you need to find a home in Oklahoma! She had several homes lined up for us to go see after sharing with her what I was looking for in a home and the area where the home would be located. We went from house to house and continued our search until the home was found. It was such a blessing to find my home with her and I am sure she can help you. Please give her her a call if you are in need of a new home! I have been in my new home for six years and do not plan on moving any time soon! Paula is an awesome realtor! We looked at so many homes before finding the right one. She was very patient with us….and always greeted us with a smile. She is VERY knowledgeable of the housing market. There were many times we looked to her for guidance on the seller’s pricing strategy, housing features, school districts, etc. Paula made herself available evenings, weekends…and even at lunch if we needed a quick look. I would highly recommend her to anyone looking to buy/sell a home. I promise you will not be disappointed!!! Paula was wonderful to work with throughout our home buying experience. She was fully in our court the entire time especially trough some of the difficulties created by the sellers. Paula was constantly encouraging us, to hang in there and, that things would be okay. She is down to earth and probably the most pleasant Realtor that we have ever worked with. I have already told everyone i know about how great Paula is and that if they are ever in need of a real estate agent, to get her on their side. When an issue was found with the lateral lines on the property we purchased, Paula made sure that it was taken care of for us. Paula was a real god send for the wife and I especially after all that we had been through in the aftermath of the May 20th tornado that ripped through our lives in Moore OK. By the time we had made it through closing on our home, Paula had become our friend. We could not have asked for anyone better.